We’re excited to announce that early in the New Year we will be refurbishing our Sidmouth shop to create our newest proposition, which will incorporate new fixtures and fittings and an innovative new lifestyle concept. 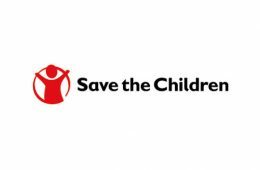 We require a Shop Manager for Sidmouth to help deliver this for Save the Children. Do you have experience of successfully leading a team? Are you passionate and creative? Are you flexible, adaptable and willing to learn? We’re looking for someone who loves working with people and has the ability to lead, inspire and empower those around them. Our successful candidate will be someone who is friendly and positive in their approach and attitude, with the energy to instil this in others. They will be able to work collaboratively with peers and colleagues, actively engaging with others and building strong working relationships. We also require someone with a business mind with the ability to make confident commercial decisions (candidates without retail experience will be considered). Sidmouth is a beautiful coastal town. Located in the middle of spectacular countryside and with a regency feel, Sidmouth is home to stylish eating places and great shopping, with everything from unusual gifts, designer clothing and lifestyle goods. Big stores and specialist shops, gift shops and dress shops, ladies’ boutiques and gentlemen’s outfitters, dairy shops and market stalls, all create a friendly welcome that makes shopping in Sidmouth so leisurely and enjoyable. All offering excellent friendly service, they make a fascinating and delightful mix for the local community. Does this excite you? Have you got what we’re looking for? Working in more than 120 countries, Save the Children does whatever it takes to create breakthroughs in the way the world treats children. Together, we save children’s lives, fight for their rights and help them fulfill their potential.